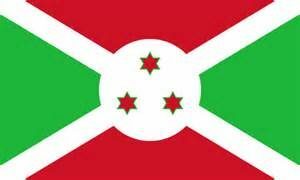 Burundi is a landlocked country in the African Great Lakes region of East Africa, bordered by Rwanda to the north, Tanzania to the east and south, and the Democratic Republic of the Congo to the west. It is also considered part of Central Africa. Burundi’s capital is Bujumbura. The southwestern border is adjacent to Lake Tanganyika. The Hutu and Tutsi peoples have lived in Burundi for at least 500 years. For more than 200 of those years, Burundi was an independent kingdom, until the beginning of the twentieth century, when Germany colonized the region. After the First World War and Germany’s defeat, it ceded the territory to Belgium. Both Germans and Belgians ruled Burundi and Rwanda as a European colony known as Ruanda-Urundi. Despite common misconceptions, Burundi and Rwanda have never been under a common rule before European colonization. The European intervention exacerbated social differences between the Tutsi and Hutu, and contributed to political unrest in the region. Burundi gained independence in 1962 and initially had a monarchy, but a series of assassinations, coups, and a general climate of regional instability culminated in the establishment of a republic and one-party state in 1966. Bouts of ethnic cleansing and ultimately two civil wars and genocides during the 1970s and again in the 1990s left the country undeveloped and its population as one of the world’s poorest…2015 witnessed large-scale political strife as President Pierre Nkurunziza opted to run for a third term in office, a coup attempt failed and the country’s parliamentary and presidential elections were broadly criticized by members of the international community. In addition to poverty, Burundians often have to deal with corruption, weak infrastructure, poor access to health and education services, and hunger. Burundi is densely populated and has had substantial emigration as young people seek opportunities elsewhere. The World Happiness Report 2016 Update ranked Burundi as the world’s least happy. 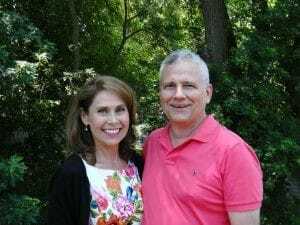 GMI missionary candidates Tom and Michelle Sanchez plan to leave for the field by January 2018 and will be stopping in Zambia for a short-term ministry of edifying and building up the leadership in that country before moving on to Burundi to start a church planting ministry. Burundi is not a new country to them having lived in Congo when they previously served under GMI. They know the culture and the people and they understand their way of life.